Donald Trump has promised the mass deportation of millions of undocumented immigrants without regard for how long they have lived in our country, the contributions they have made to our society, or whether they have children that are American citizens. Trump’s plan will lead to people being sent back to countries that they were too young to remember living in, where they don’t know the language or the culture. Trump’s plan will lead to millions of people, citizens and undocumented immigrants alike, being questioned by law enforcement because of their apparent race or ethnicity. Trump’s plan would unconstitutionally strip American citizenship from millions of children who have undocumented parents. The Judge Not Initiative will protect people from Trump’s mass deportation plan by promoting efforts among religious leaders of every faith that are dedicated to defending people from Trump’s unjust and dehumanizing mass deportation plan. Churches, synagogues, and other places of worship have a history of sheltering undocumented immigrants from inhumane and unconstitutional deportations. The Judge Not Initiative encourages our faith leaders to maintain this proud history by opening their doors to those in need of protection. The Committees advocates for places of worship to offer sanctuary. We believe it is the moral and Constitutional thing to do. Follow the link below to learn about places of worship in your community offering sanctuary against the Trump Administration's unconstitutional mass deportation plan. 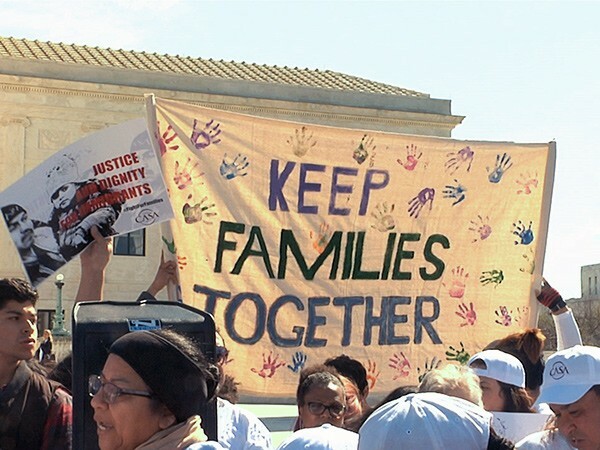 Find out the latest news about the Judge Not Initiative and the larger New Sanctuary Movement. As the movement grows, the Committees of Correspondence will highlight the stories of specific people affected by Trump's mass deportation plan and the legal fight to resist mass deportation. We will also solicit and offer suggestions for ways to expand and improve our movement. We hope to hear from you. The Committees is not opposed to immigration laws generally. However, the Administration’s methods of enforcement, including plans for mass deportations, are inherently unconstitutional. Here’s why.